Here's another tape we've been sitting on, brought to you by the good folks at Deep Sea Mining Syndicate. Heather Ross' Skin takes the DSMS tendency towards the experimental ambient and pulls it apart into layers of delicious noise. And then lets it slowly dissolve again. 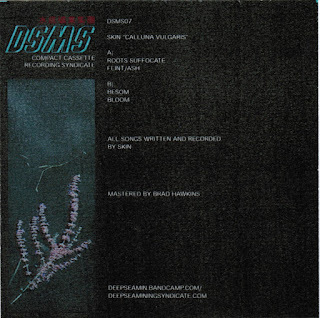 Vice's Thump did a quick piece on Skin's tape which is worth checking out - or you can snag one of the last copies at the DSMS bandcamp. 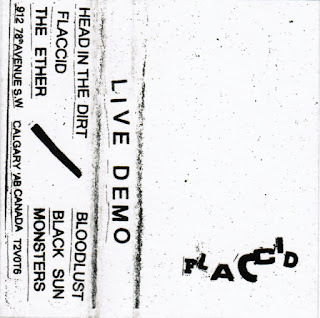 While we're in a metal mood, we might as well go with this tape from the Siksika Nation. We checked out these guys after discovering the excellent No More Moments, who share a member (members?) with this band. Where No More Moments is classic skate rock, Iron Tusk tend more towards classic hard rock/metal. We like that the band have made use of the now-tried-and-true formula or recording a session at CJSW and then releasing part of it on cassette. 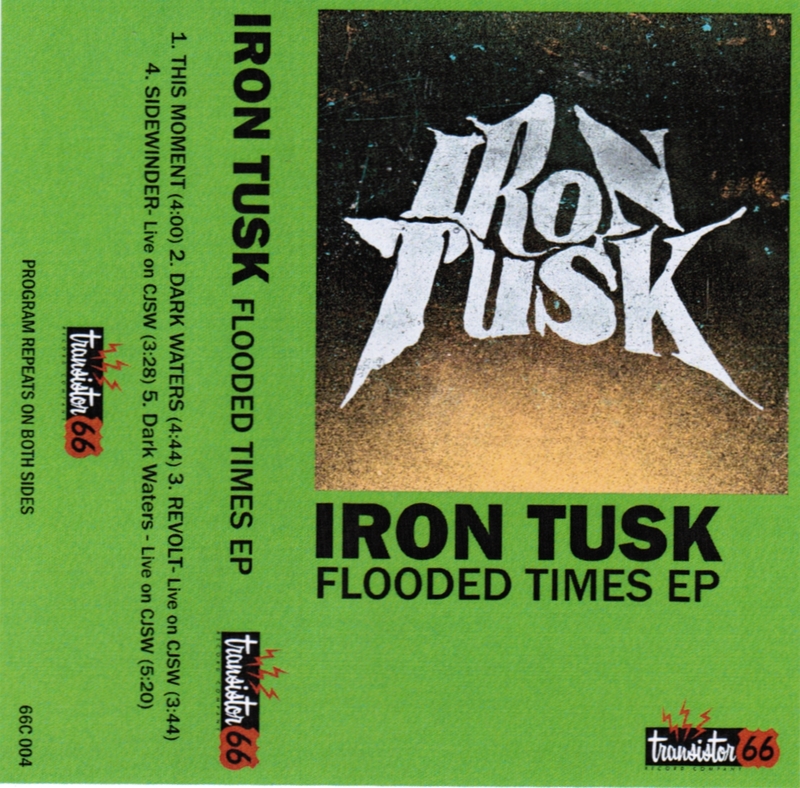 Grab this from the Iron Tusk bandcamp. Here's another (!) new Kevin Stebner jam, this time a posthumous tape for Prepared (who lost one member to another city last year). This is full-length blast of the tense, terse punk that made the band so enjoyable. We give a recommendation for this tape on the basis of the song titles "Fullstack State of Mind" and "AAA Aardvark" alone. 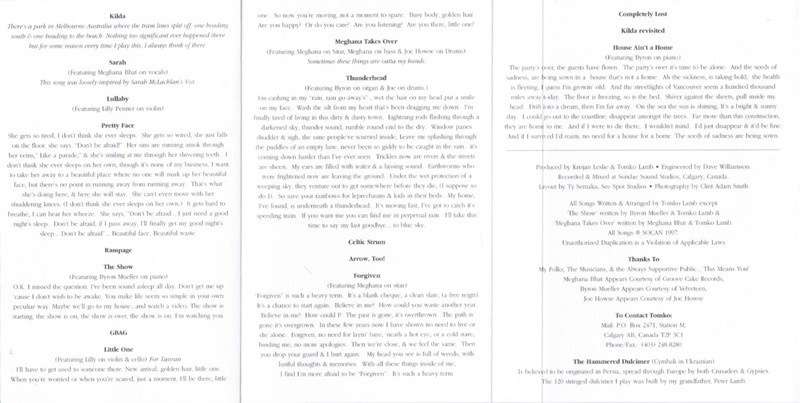 And the songs themselves hold up, as well. Get it via the Prepared bandcamp, or your local record store (you know the ones). This one snuck in just after the end of the year, and sat in the pile of new(ish) tapes that we're about to head into posting. Which is a really awkward way of saying, get ready for a bunch of new tapes now that we've had a token posting of old stuff. Kevin Stebner tipped us to Heavy Mountain when we interviewed him for our Unspooled podcast last fall. 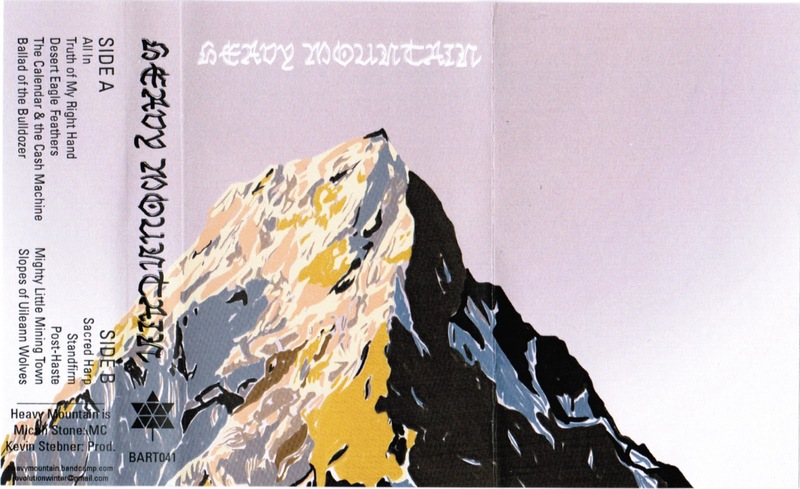 Heavy Mountain is his weirdo hip hop collaboration with Micah Stone of Rap X. This is, uh, weirdo hip hop. Stebner has mined a bunch of folk records and built loops out of fiddles, guitars and other acoustic sounds. The result is a strangely hypnotic and acts as an excellent foil to Stone's stream-of-consciousness lyrics. 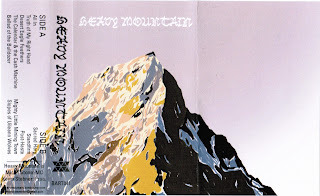 Grab this from the Heavy Mountain bandcamp. Oops, we just poisoned our Google search history by looking for "flaccid band calgary" as we researched this post. The first hit we got takes us back to the CCPS, and the are all links that we know better than to click on. So, uh, we don't have anything else to offer other than the download. Here's a slightly old tape that we found in a box at Melodiya, featuring the recently-departed Fist City and Lethbridge caveman garage rockers the Moby Dicks. 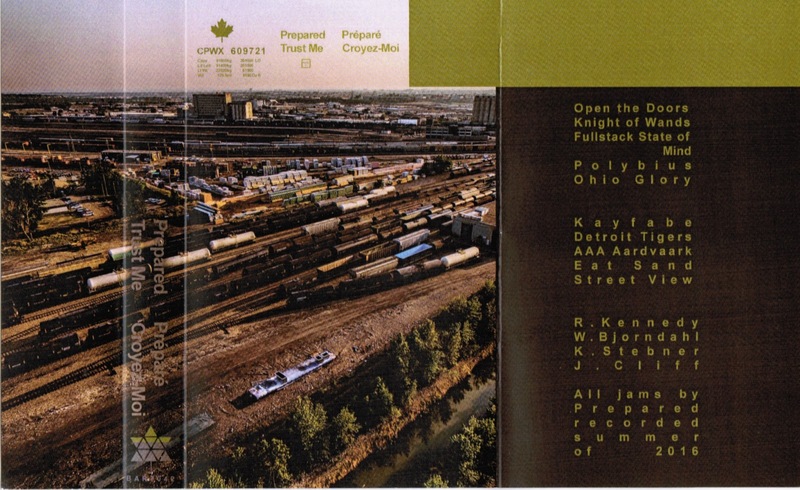 The excellent, noisy Fist City track is also on their Greatest Splits tape, and the Moby Dicks are, well, dicks. But in a good way. Maybe? Grab a bit of Scotch here. Part of the reason why we obsessively visit thrift store is because we sometimes find things like this - fodder for the CCPS collection. We posted one of Tomko Lamb's hammered dulcimer-focused CDs last year (his first, we think), and we actually had no idea that this one (his second?) 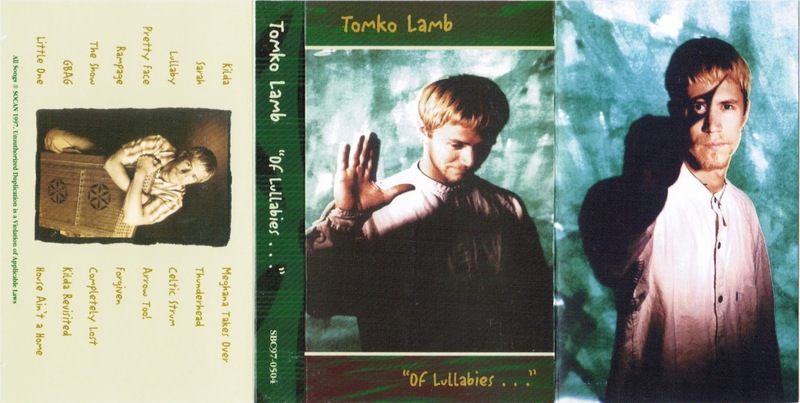 was also released on cassette. But it was! So you, the CCPS reader, get to benefit from our obsessive digging through dusty tapes. 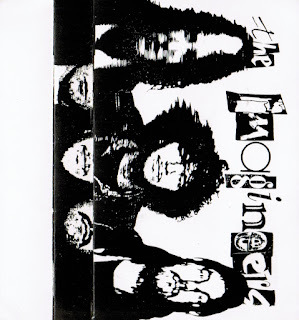 In the pile of tapes from David Tighe was this one that somehow we had digitized at some point, but forgot to post. Maybe because there's more than a bit of overlap with the other Imagineers tape we posted a few years ago. But that's never stopped up before! 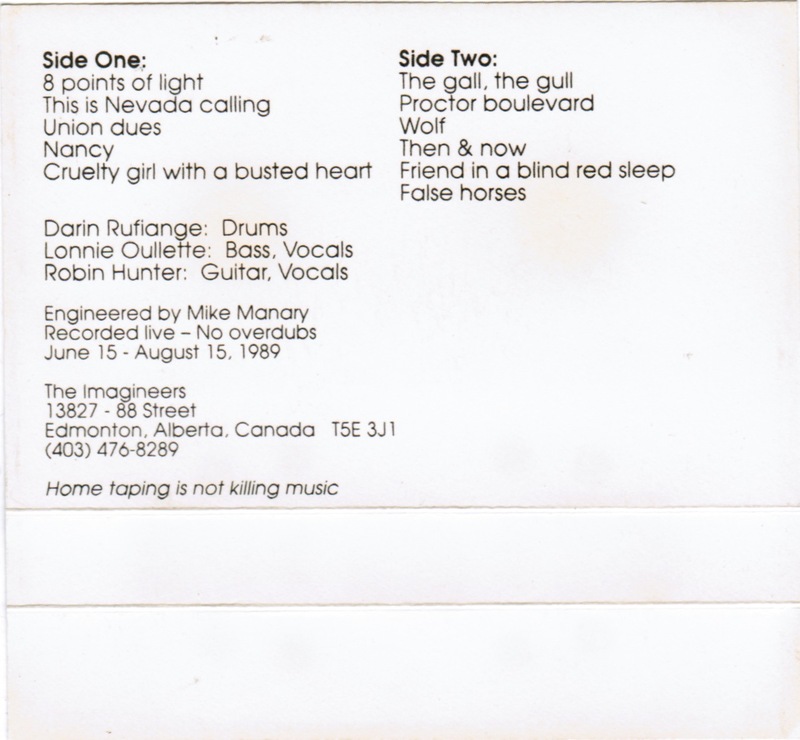 So here you go - another tape from hairy Edmonton rockers the Imagineers. Enjoy! Here's another tape from David Tighe. 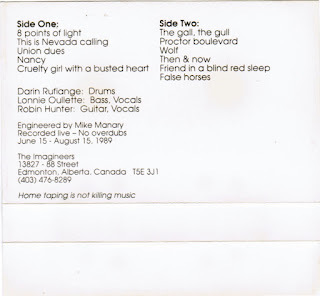 We don't know what to make of this one - it's not that it's bad, it's just... an anomaly in terms of the stuff we expected to hear from a Calgary band in 1992. 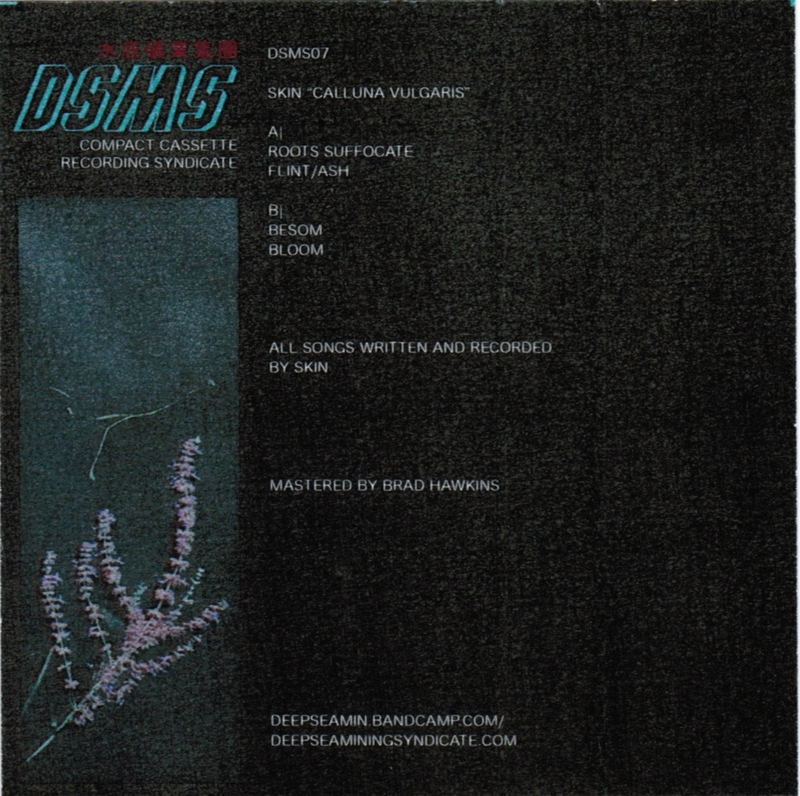 The two guys in Discatch put together a really well-produced and crafted tape full of electronica that is part Depeche Mode, part Big Audio Dynamite (circa The Globe), part Nine Inch Nails (circa Pretty Great Machine). Actually, there's a fair amount of overlap in those three. Anyways, they took this so seriously they recorded this at Richard Harrow's Living Room Studios. 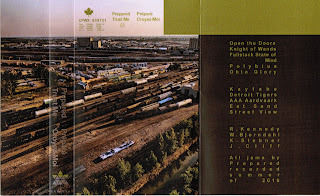 This tape takes us back to three-for-one highball nights at the Republik. The parts we can remember, anyways. 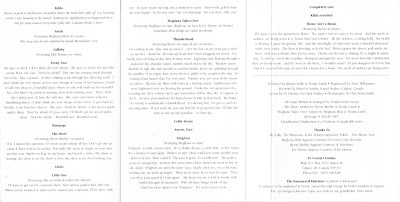 Huge thanks to David Tighe for getting in touch with us (again!) and passing along a selection of tapes (including a copy of the Shoutin' Abner Pim and the Puritans tape from this month's podcast! how's THAT for synchronicity?). 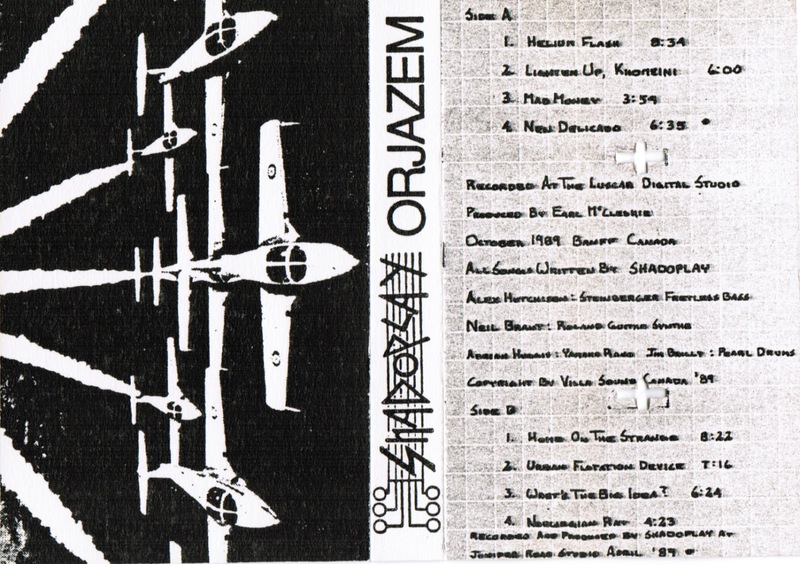 We'll start with this one, another tape from local fuzion jazz institution Shadoplay. 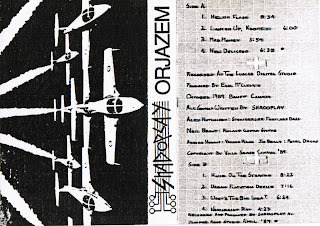 Our apologies to the other band members from this tape - the photocopy quality of the j-card hasn't done well with time, and we're struggling to read your names. Maybe it's time for new glasses. Unspooled: Episode 12 - Shoutin' Abner Pim and the Puritans' "Welcome to Persia, Batman"
Well. Hello. 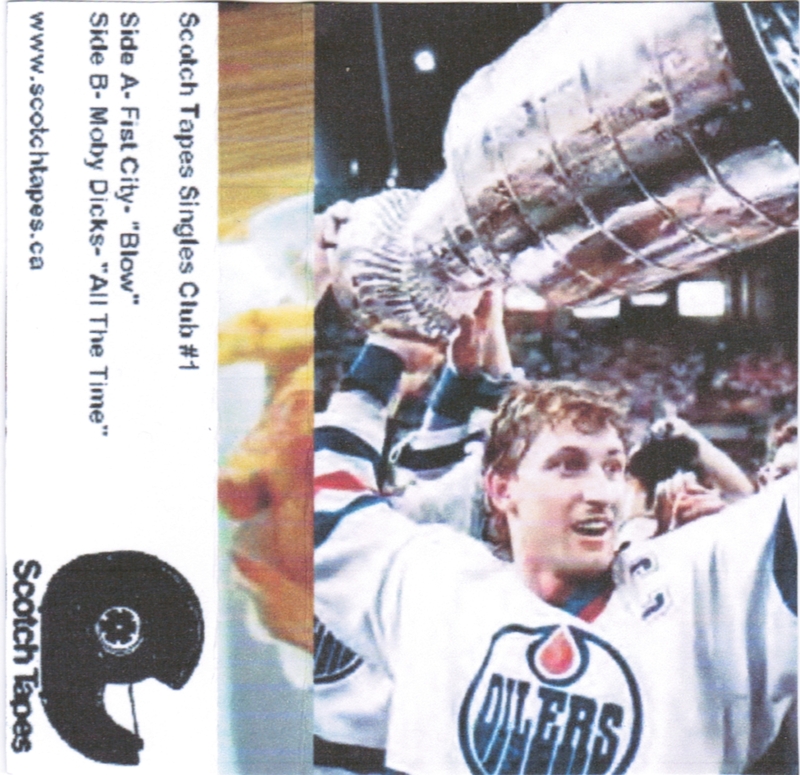 So, the thing with a project like the Calgary Cassette Preservation Society is that, well, after a while you kind of start running low on new content. So please forgive the two-month hiatus. We've got a few new things in the queue now, and we're going to start with this, a new episode of Unspooled. Which isn't so new - the short version of this aired a couple of weeks ago on Saved by the Bell. Anyways, this time around we spoke with Bob Keelaghan and Michael Paton of Shoutin' Abner Pim and the Puritans. We talked about the double-guitar onslaught that made their Patented Bloody Row a901782 cassette such a, well, onslaught.